lori scarf, originally uploaded by All Things Mimi. 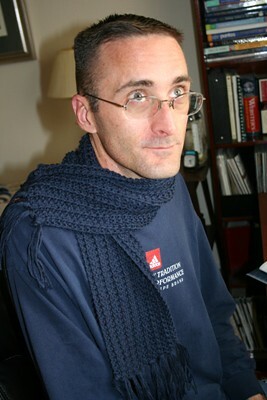 Here is a scarf I knitted for my boss' son. He's 9 years old, so that 's why it's so short (40" for a child instead of 60" for an adult). Dev makes a stunning model, don't you think? I used the "one row pattern" to knit this. I really like it. The first time I tried it, disaster resulted. I could not get it right no matter how many times I ripped it out and started over. But this time it knitted right up. Maybe it was because I was using much more expensive yarn this time...I don't know. 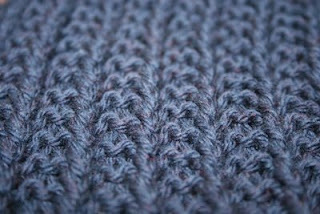 Here's a close-up shot of the pattern itself.